I'm not one for formal exercise unless watching the latest fitness DVD on the sofa with a bag of crisps and thinking " wow, that looks hard work." counts. I keep fit by having a Harvey. Just a simple walk to school is a workout in itself. 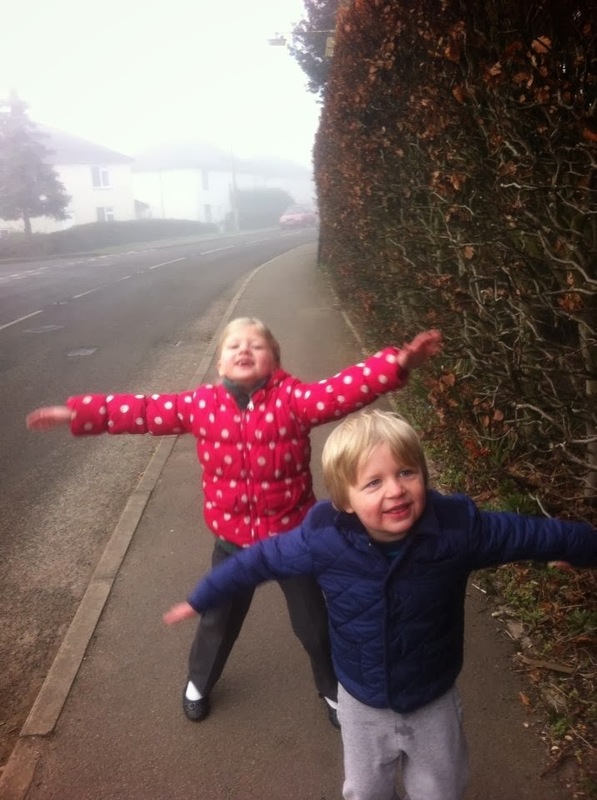 This morning it is froggy (as he calls it) and they decided that our walk to school would need spicing up with a few star jumps. I hasten to add that I didn't join in with that although potentially that could liven up the school run. Loads of mums and dads random doing push-ups on route as another parent decides to jump over them as kind of a Thursday morning hurdle race. Would make an interesting sight with parents in their Lycra or shellsuits (remember those?!) maybe hula-hooping along the street. I'll just point out about his trousers before someone mentions it. Harvey will have his usual breakfast of cereal and then sometimes mention that he hasn't had any pudding. "Why do we have pudding with lunch and dinner then if we don't have it for breakfast?" He opted for an apple to eat on the way, catching most wet things on the way past them hence the wet on his trousers! avoiding the washing up and exercising on the way to school. lol! Bless him. I'm chuckling thinking of mums and dads star jumping their way to school now! !